Kylie's Peach Eyeshadow Palette Out On January 12! Well, technically, January 13 in Manila. As far as makeup launches go, Kylie Cosmetics keeps it consistent with tempting releases we can’t wait to get our hands on. What can we say—Miss Jenner knows exactly what millennials want. And for 2017, Kylie is starting strong, teasing us with a gorgeous eyeshadow palette featuring 12 delightfully bright colors. CGs, feast your eyes on the Royal Peach Palette! If you’ve been hiding behind safe neutral colors for most of your life, this product just might be what you need to update your look. Because while you’ve got your foolproof earthy tones in the lineup, you also get a few less ordinary hues—check out that bold cobalt, the shimmery orchid, and that Pantone 2017-esque green. 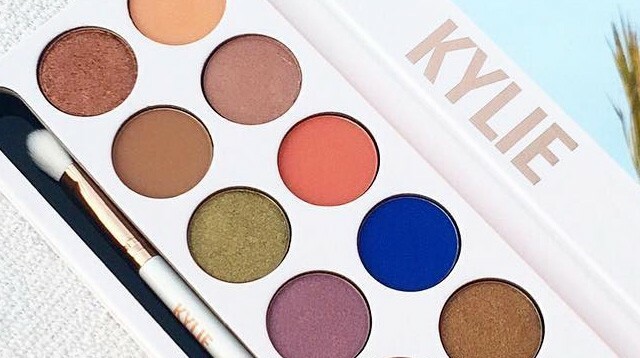 Kylie Cosmetics shared swatches of each color on Instagram, and we’re already smitten with the playful mix of mattes and metallics. The Royal Peach Palette drops online on January 12, 3 p.m. PST, or January 13, 7 a.m. Manila time.